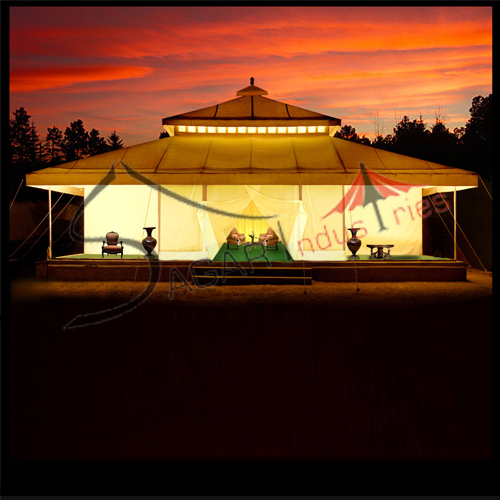 With an enriching industry experience of 25 years, we have positioned ourselves as a coveted manufacturer and supplier of Garden Umbrellas, Tents, Umbrellas And Canopies. Our assortment includes Garden Umbrella, Tents, Canopy, Garden Umbrella Stand and Table Promotion Umbrella. These products are made using quality-tested raw material that is procured from the certified vendors of the market. To ensure their flawlessness, our products are strictly kept under vigilance by the quality controllers before the final dispatch. These products are highly appreciated for their features like durability, compact design and superior shine. Our products are highly used in restaurants, hotels and other commercial organizations. We have erected a sound infrastructure, which helps us in executing all our business operations efficiently. Moreover, we also give due credit to our team of competent professionals that work industriously at all the stages of the trade. It is because of the quality products that we have garnered reputed clients like Taj Group of Hotels, Goa Marriott, HRH Group and Bajaj Hindustan Pvt. Ltd, to name a few.